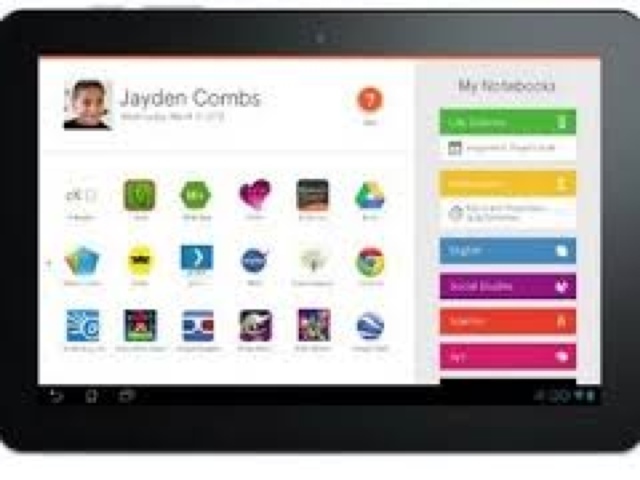 Will Amplify's New Tablet Amplify innovation in Education? Earlier I posted about a retweet I made that may have touched a nerve regarding perceptions about the intentions of EdTech vendors. I understand that one must be careful if to live in glass houses, but I stumbled into this article about Amplify's new tablet they designed with education in mind. I found this statement from the article interesting and similar to the perspective I interpreted the tweet that I retweeted. I am guessing it also touches some nerves. "The tablet may well function perfectly well on its own terms, Haimson said, but she contends that Amplify's goal is less about helping schoolchildren than about turning a profit." In visiting Amplify's website, http://www.amplify.com, their mission is to amplify education by giving teachers and students a tool that will allow them to manage classroom administrative tasks more efficiently to free up time for instruction. The Amplify tablet seems to incorporate many of the features that align with current instructional technology strategies and trends. It looks viable as an instructional tool, but I'm not sold on it as a creation tool. Formative data collection and digital workflow are important, but they represent only one aspect of instruction and student learning experiences. My question after looking through Amplify's website is, how scalable and flexible will this tablet be moving into the future? Will it do what I am afraid the iPad might do and force device specific tools inhibiting flexibility and become the juggernaut like the textbook is for schools? Side note: Not that it affects my perspective of Amplify or their tablet, but I didn't know that Rupert Murdoch was behind this product.